We were promised fireworks on the Senate floor yesterday, and that’s exactly what happened. Gun control was defeated on three separate amendments as gun grabbers tried desperately to ram their radical agenda into our laws! But the fight to stop gun grabbers isn’t over yet — more on that in a minute. It was a day we had been preparing for since last week. Our insiders had informed us that gun grabbers in Madison were going to attempt a last-ditch effort to push gun control on Wisconsinites. We mobilized gun owners in response, and you guys reached out to Senators in huge numbers to push back against any attempted effort at gun control. You guys delivered, and your voices were heard. You see, gun grabbers smell blood in the water in the wake of the Parkland, Florida shooting. Michael Bloomberg, Shannon Watts, and other radicals don’t ever let a crisis go to waste, and they are using the latest mass shooting in Florida as a springboard for gun control. Sadly, we are seeing people on both sides of the political spectrum cave to gun grabbers. In Florida, a state controlled by what should be a pro-gun majority, they passed a gun control package that included the banning of bump stocks, raising the age limit to 21 to purchase a firearm, a “red flag” confiscation initiative, and more. And in Congress we are seeing some “pro-gun” politicians cave as well. Even Republican Senator Ron Johnson has been considering gun control since the Las Vegas shooting. So with yesterday’s gun control fight, we simply couldn’t trust that our pro-gun majority in Madison would stand firm against gun control. Folks, the gun grabbers gave it everything they had yesterday. The morning started off with Senate Minority Leader Jennifer Shilling smashing those who believe in the 2nd Amendment for “ignoring” the kids who were marching for gun control. She made false claims about the “walk-out” movement being organized and pushed by kids, when evidence is clear that the events are being orchestrated by wealthy leftist organizations who hate the 2nd Amendment. After her opening salvo yesterday morning, the Wisconsin Firearms Coalition sat in the Senate gallery and waited for 10 hours before the debate on gun control began. By the end of the night we were the only ones left in the gallery! But we stayed to ensure that you guys were informed on what went down on the Senate floor. Finally, after 123 other bills were debated and voted on, the fireworks started to fly. Gun grabbers attempted three different amendments on Gov. 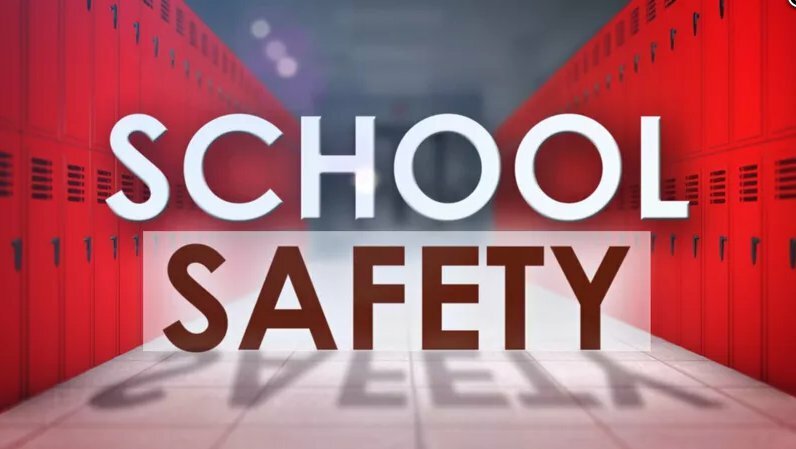 Scott Walker’s school safety bill. Following the introduction of the amendment, every gun grabber in the capitol took time to ridicule ideas that gun owners have, from Constitutional Carry, to arming teachers. Instead, they spent almost ten minutes each regurgitating Bloomberg’s talking points, or lies if you will, on the 2nd Amendment. From “background checks save lives,” to “guns are the problem,” the hot air coming from gun grabbers filled the entire Senate gallery. Ironically, many of them brought up the Maryland high school shooting from yesterday as another example of why guns are the problem. They conveniently left out that the shooter was stopped by a gun. And they left out that the officer who shot him likely saved many lives, with a gun. They also managed to skip over the fact that Maryland has some of the strictest gun laws in the country. Once the grandstanding was over, a roll call vote was taken, and the amendment failed 18-14 along party lines. Then, the second attempt at a gun control amendment came. This time gun grabbers pushed for the 48-hour waiting period to be reinstated. This amendment also failed with one Democrat joining the Republicans in defeating it 19-13. Finally, one last gun control effort was made to ban anyone with a “violent” domestic misdemeanor from owning a firearm. This particular law has been used by Bloomberg as a springboard for “red flag” laws, which allow police to seize firearms with no due process. Something they just passed in the state of Florida! In fact, just last week Florida used the law for the first time to take someone’s firearms away, with no conviction and no due process offered beforehand. Luckily, the third gun control amendment also failed on an 18-14 party line vote. Folks, you must understand that gun grabbers were only three votes away from passing these gun control amendments last night. That’s why 2018 is a huge year for elections, and a huge year for gun owners. We must be out and active in campaigns across the state to ensure that gun grabbers are exposed at the polls. That’s why we need your help! Gone are the days of sitting back and hoping that gun owners come out on top at election time. Gun grabbers are coming at us hard this year, and the only thing that can stop them is you, your family, and all your gun owning friends! Your first step to fighting this insanity is by joining the Wisconsin Firearms Coalition today! By becoming a Bronze Level member you are telling gun grabbers you won’t put up with their lies any longer, and that you stand with the 2nd Amendment. Next, make sure to catch our recap of last night’s events that we did live from the capitol by clicking here or on the image below. Finally, make sure your family and friends know that we are in a tough fight for gun rights in Wisconsin, and it’s time to get involved by forwarding this email to them! Folks, last night’s gun control battle isn’t the end — it’s just getting started. With the elections right around the corner, we must be actively engaged in this fight or we’ll go from trying to push pro-gun bills, to constantly playing defense against gun control. The choice is yours. The time is now. Stand up and fight! P.S. Last night was one of the biggest gun control battles we have ever seen in Wisconsin in recent years. Gun grabbers tried three different amendments to push everything from “Universal Background Checks,” to 48-Hour waiting periods to buy a defensive handgun. Luckily with your activism, we were able to squash every gun control amendment offered yesterday. But with the elections right around the corner, it’s no time to celebrate. That’s why we need you to watch the recap of last night’s event by clicking here or on the video image in the main body of the email above. Then, please make sure to sign up as a member of the Wisconsin Firearms Coalition today. Gun Control Battle In Madison Tomorrow?